This is part 2 of 3 in learning how to count in Japanese. If you haven’t completed the previous lesson, please do as you will likely be lost and unable to understand some of the content herein. We’ve previously discussed the differences between onyomi and kunyomi, number-related Japanese superstitions, two methods of counting by hand used in Japan, and numbers 0 to 9. In this lesson we will be continuing from 10 to 99. There is a slight difference in counting beyond the number 10 between the English language and Japanese. In English the number 11 is eleven, but in Japanese it’s ten-one. We’ll be explaining this for each number up to 19 to illustrate how this works. Incidentally, Jyuu-San has a superstition much like in western culture whereas it is considered unlucky and as a result this number may not appear in elevators, apartment numbers, airline seats and so on. Sometimes, the number 14 is revered as unlucky as well as it contains the number 4 which when pronounced as shi which can also mean death. Many refuse to use shi while counting but replace it with yon as explained before. To proceed from 19 to 20, how do you think we’ll go about this? That’s right; we’ll use two-ten to count 20. If we want to count 30 we’ll say three-ten and for 40 we’ll use four-ten and so on. Let’s go through this list of numbers and see the pattern. That should have been fairly straight-forward now that we understand the pattern. We can apply the very same pattern for 30, 31, 32, and all the way to 99! Let’s go through the many examples for clarification. In the previous lesson, we’ve learned how to recognize and write the numbers 1 to 5, and now we can continue learning the remainder of these basic kanji. Draw your first stroke from top to bottom then follow the second stroke from left to right. Your third stroke will be the bottom left stroke “leg” from top to bottom going left and finally the stroke to the right of it. Instead of starting from the top-most, begin by drawing the horizontal stroke first. Now move from top to bottom in one stroke to complete the kanji. Start with the left stroke moving down and then the second stroke move top to bottom. Draw this one similarly to how you would with か by starting with the top middle stroke going down then from left to right in one stroke. Left to right, top to bottom. We have developed random number generators that should help you learn these numbers rather quickly. Please refer back to the previous lesson for more tips on learning how to count. Remember; click next to display a new number. The purpose of these generators are not to test your knowledge of these numbers but rather your ability to recall their meaning. The faster you are at these numbers, the better you understand them. This may sound obvious but you’ll realize how true this really is the more you practice. What is the Japanese Translation? What does this romaji mean? We have arrived at the end of another lesson, and while this lesson was a little easier than the last, we will be able to take that time to learn a few new hiragana characters. There are no downloadable or external resources for this lesson. You can't track progress without an account. 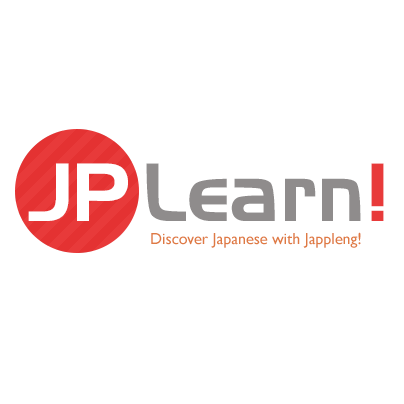 Get started and learn Japanese for free with a Jappleng Account. Click here to begin! JPLearn! Is the most effective way to study!